Since my childhood I dreamt off of a job where I can play video games all day and make money out of it. Fortunately, my dream has come true. Well! If you are an avid gamer and love to play video games all day then you can now turn this hobby into a full time profession. You won’t believe you can play games online for a living now. In this article, we will tell you 7 ways to make money playing all kinds of games. Not all of the options are going to make you money but if you choose anyone out of 7 and focus on it single-mindedly then you can surely generate a passive income. So go through the list and choose any one way that suits you the best. Although playing Trivia Games online isn’t going to make you enough money. However, it can be a great way to get started. Other than paying for clicking ads, watching videos and taking surveys Swagbucks also pays for playing games online. You can start with playing free games that earns your SBs (Swagbuck’s Point System). If you want to make more money then you have to join their “Pay to Play” program. You can earn up to $.04 to $.05 on each $1 you spent for playing games. You can deposit money into your GSN account and get started. Just like Swagbucks, Inboxdollars also pays you for playing games. After you deposit money into your account, InboxDollar will connect you with WorldWinner account. You can earn $.01 – $.04 on each $1 you spend. You also earn .5% – 2% cash back on every dollar you spend entering the cash tournaments. You can also earn by downloading apps onto your mobile phone. HQ Trivia is one of the most popular gaming app right now. On an average HQ Pool Prize is about $2500. You have to compete in 12 rounds of Tricky Trivia for a chance to split the prize pool. If you don’t like playing trivial games online then you can play video games on your PC or a console like PS4 or Xbox. Here you sign up with a website, download the software on your PC, select a game you want to play from the list and after achieving certain target you earn rewards or points. For example, one of the most popular gaming website PlayVig.com rewards you with PlayVIG coins which can be later redeemed for real money and retrieved through PayPal. They pay you for completing quests through the leader board. 1000 PlayVIG coins = $1. Different games pay you differently. On an average you can earn anything between $.30 and $3 per hour depending upon your gaming experience. Another more popular gaming website is PlayersLounge. You play with other gamers online on PS4, Xbox One or on your PC. PlayersLounge gives you very competitive high risk high reward environment. Here you have to pay an entry fee to join the game. For example Madden 19 charges $20 and prize is $36 but Fortnite’s entry fee is $2.5 and prize is $4.5. The maximum challenge amount to be earned is $500. eSports are for more experienced and skilled players. This is the only way to make some serious cash legitimately as a gamer. The pool prize can be up to $1 Million, starting from $100,000. Epic Games’ Fornite paid around $100 million to the gamers this year. In 2017 Valve’s Dota 2 paid out over $38 million in total prize. If you are among the best and top gamers, you’ll able to find tournaments online that offer prizes for winners. eSports is open for everyone, you simply have to beat other gamers to prove your worth. PC games like League of Legends, Overwatch, Dota 2 etc have tournaments that gives you an opportunity to earn extra money playing video games. Money will be split between you and your team members. Finding a group of skilled gamers for a team can be a difficult task. You must know your game inside and out and play a lot to stay ahead of your competitors. Gold farming is nothing but buying and selling of items for the game’s currency type. This will allow you to grow your character and move up in the game. You can find gold and sell it for real world money. This is called gold farming. For example, if you are playing World of Warcraft then you can go on raids and collect dropped items for sale and find gold along the way and sell them for actual cash. Most gaming companies do not allow this practice and strictly ban it. However some do allow farming and encourage it. The amount of money you can make depends upon the type of game and the item you are farming. However, time required to farm gold can be too much. To give you an idea for earning $1, you have to farm around 1000 gold. For $100 you need to farm around 300,000 gold. Similarly, you can actively play games and buy & sell items making around $5 – $20. Game Testing is basically a Quality Assurance (QA) Job where you check for bugs, recreate and report them. Game testing jobs can be considered as a side hustle because money isn’t that great. On an average a game tester is paid anything between $10 and $15 per testing session. A full time game tester can make around $15,000 (low end) to $35,000 (high end) in a year. You can find game testing jobs at Indeed.com or Monster.com. Having a college degree really increases the odds for getting hired. From the outside its looks easy but from inside game testing job isn’t that glamorous. I should have mentioned this on the top of the article because this is perhaps one of the most sought after way to make money online if you love playing games. However, not everyone can do this. With the rise of live streaming websites like Twitch & YouTube now avid gamers can broadcast themselves to the world while playing games. On Twitch, streamers broadcast to millions of viewers around the world. You can stream videos daily and make ton of money if you got a huge fan following. Just to give you an idea Twitch’s top streamers make over $500,000 per month doing this. I’m not saying everyone can make this much amount of money but if you’re able to garner thousands of views daily then you can earn hundreds of dollars per month. However, in order to earn some cash your commentary must be engaging and not a slow pitched boring monologue. 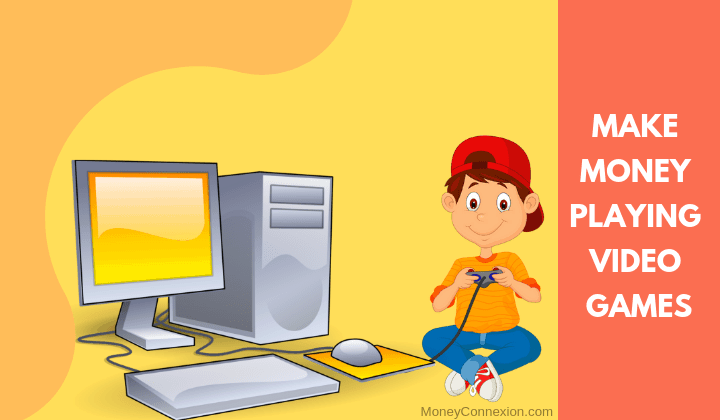 Finally, if you are a successful gamer and know how to make money playing games then you can share your experience with others through writing blogs, creating eBooks, game guides, tutorials etc. You can also write critical reviews of a game and give an honest opinion to game lovers. 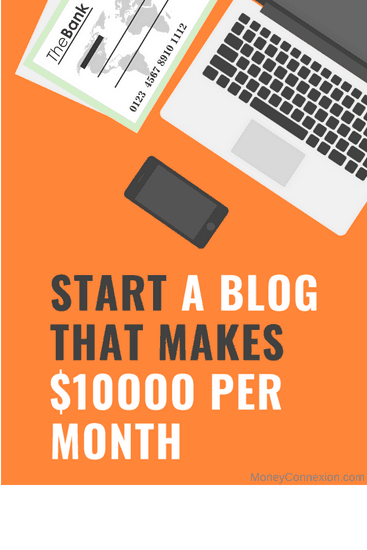 Once you start getting enough audience to your blog you can monetize it with Google Adsense and generate revenue through ads. Later, you can also sell eBooks and Tutorials to your followers and make even more money. You do this only when you’ve gained enough experience playing games all these years. So these were 7 ways to make money playing games. Novice gamers can start with the first option in the article. As you gain some experience you can move on to other ideas step by step. Earning Playstation Trophies – 1000 Points can be traded for $10. This is exclusive to USA only. Sell Your Account – You can sell your high value gaming account to other gamers. Play Games on Steam – You earn crates here and per crate can be sold for $.50. Although the money with playing games isn’t that great but you can definitely earn some extra cash having fun! Metal Gear Solid 3, Vanquish, Paper Mario, Call of Duty 4, Vanquish, Fist of North Star: KEN’S RAGE, Duke Nukem 64, Gears of War 1 and 3. Halo 3, Halo:Combat Evolved, Halo: Reach, Kingdom Hearts 1 &2, Seiken Densetsu 3 (Final Fantasy Adventure), F-Zero, Super Smash Bros (64, Melee, and Brawl), League of Legends (LoL), RIval Schools, SHENMUE, Oblivion, Skyrim, Black Ops, Fable 1, Street Fighter IV, VIrtua Fighter 5, Skullgirls, Sonic Adventure, Sega Bass Fishing Soul Calibur 2 and 4, Batman Arkham Asylum, Mass Effect 1 & 2, Metal Of Honor (Frontline & Rising Sun), Mortal Kombat 2 & 9, Dead Space 1 & 2, Assassin’s Creed, 1, 2, and Brotherhood, Animal Crossing, Star Fox 64, Dark Cloud 2, and more! Also The modern warfare games are ok and i like borderlands and many other games as well. and Many others I have not mentioned!!! I’m willing to advertise, i may start posting videos soon from capture card, also on request I could play a selected game, and im sure there’s many more offers I would likely accept if asked if a company or corporation asked me too. I have some friends with relative same backgrounds as me, very funny some of them as well, if that holds any merit. They are intersted in doing something similar to this too. I like to playing game because it was relaxing. But when i heard that you can earn while playing it makes me feel awesome. Thanks for the articles. Thanks i hope that i am one of this awesome games to have a part time job it another source of income. good idea who professional gamer. Awesome posting . Thanks for sharing your thoughts . I am fully impressed . You can also take a look Earn Honey to making money from home .. There are may ways to Make Money. Some of them, you have discussed above. Gold farming is nothing but buying and selling of items for the game’s currency type. This will allow you to grow your character and move up in the game. This is very good idea that Gold farming could be new for you but it has been there for a while now. If you are a professional gamer then you must know about Gold farming because it is one of the best ways to make MONEY playing games.